The season at Aman Sveti Stefan Hotel will be opened May 1st, and so will the newly built spa and wellness center in the hinterland of the Kraljicina Plaza beach, montenegro.travel reports. This year, just like previous years, the largest number of guests are expected to come from the USA, Great Britain and Russia. In the period June - October, an overnight stay at the hotel will cost between 950 and 3,850 euro. People at Aman Sveti Stefan expects this season to be very successful. Aman Sveti Stefan includes 58 suites - 50 on the island and eight in Villa Milocer. 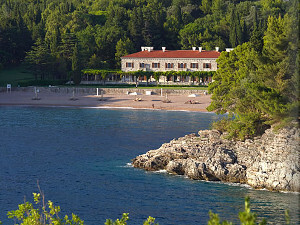 All restaurants within Aman Sveti Stefan are also open to guests who are not staying at the hotel. The same goes for the spa and wellness center that will be open the whole year long.